History — Solar Homes Inc. 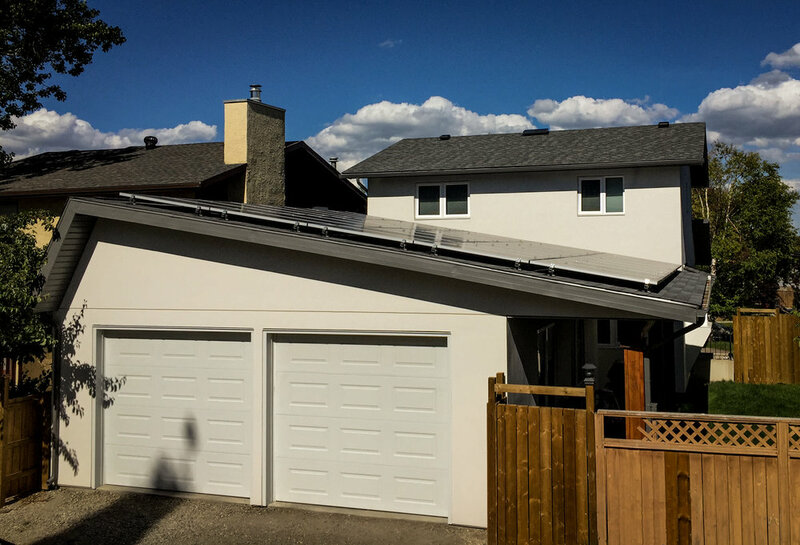 The founder of Solar Homes Inc., Peter Darlington, started out in the construction industry in 1996 working with stucco and on the building envelope. Four years later, he started his own company called Peter’s Exterior Contracting. Over the last sixteen years, he has successfully installed exterior cladding on thousands of homes and commercial buildings. In 2014, Peter took interest in an online course by Marc Rosenbaum titled Zero Net Energy Homes and later also became accredited as a Certified Passive House Consultant. This launched what would be the next phase in Peter’s career. He soon founded Solar Homes Inc. in order to offer contracting and consulting services to those looking to reduce their environmental footprint. In order to prove his abilities, on September 1, 2015, Peter transformed his ordinary house into a net-zero energy solar home. Net-zero energy homes take advantage of renewable resources to produce as much energy as they consume over the span of a year. In Peter’s case, this was achieved by installing a solar array on his garage roof and by reducing his home’s energy consumption through proper insulation, airtightness, high-performing windows, as well as energy-efficient lighting and appliances. Over the next twelve months, the solar panels on Peter’s home produced slightly more energy than his household consumed. As a result of the renovations, in one year, Peter prevented 13 tonnes of CO2, one of the gases found to be responsible for climate change, from entering the atmosphere. In addition to earning bragging rights, Peter also saved $2,000 on his family’s annual energy bill. Would you like a free tour of Peter's house? — Peter Darlington, Founder of Solar Homes Inc.